Okay, here’s a little different Rose flower. 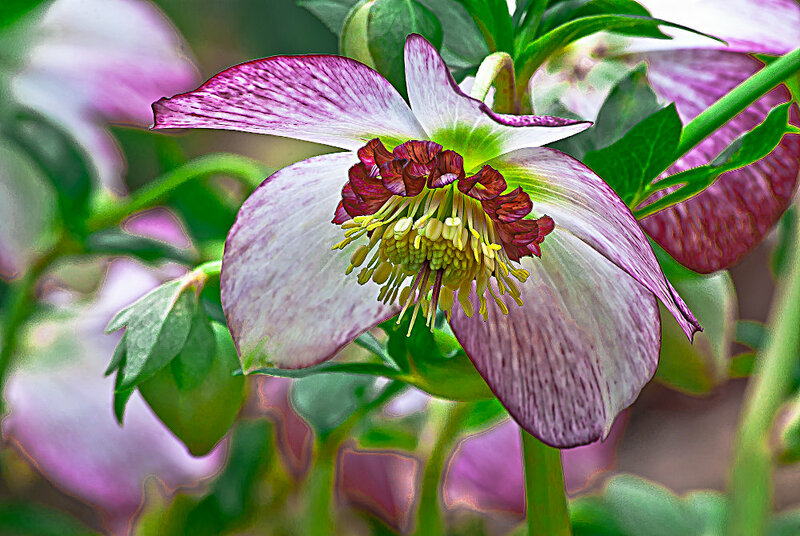 This is called a Hellebore, or also know as the Lenten Rose Flower. It grows closer to the ground then the average rose, and it’s an early Spring flower rather than Summer time. That’s why I’m waiting until July to post this image. After a month-long celebration of roses in June, this flower didn’t quite fit it, but still it’s called a rose, so I figured I’d give it a little honorable mention post. Very beautiful in my humble opinion.